Benny's Sleeves. 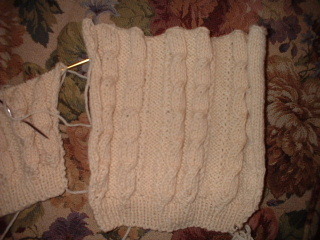 While they do match a part of the body of the sweater, this was not the original pattern. I think they will look alright. I wish we could have figured out that Phildar pattern but this will have to do.